The eb5 wrinkle relief formula is unlike any other product in the market today. With CPGBrokers as Master Broker, eb5 will be better positioned to build representation nationally and continue mass market expansion. 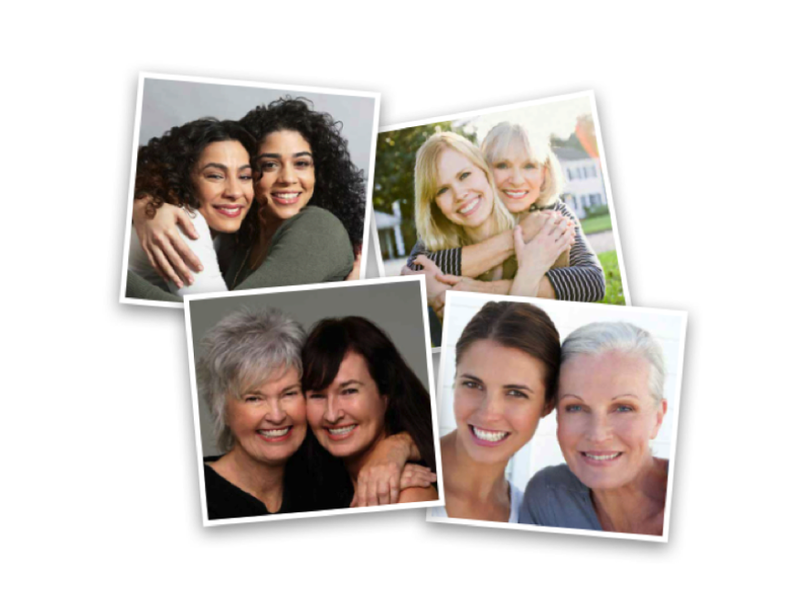 Five generations of woman have endorsed it’s proven power to reduce the appearance of wrinkles, crows feet, feather lips, and improving dry, aging skin. This fierce loyalty to the original cream plays out in markets across the United States where eb5 out performs seven out of the ten brands. Get ready in 2014 as eb5 will re-launch targeting an expanded and younger demographic, a new look, presence in e-commerce and brick n’ mortar, and healthier anti-aging product more than ever! Since 1903, eb5 wrinkle relief formula, has been endorsed by five generations of women who have endorsed it’s proven power to reduce the appearance of wrinkles, crow’s feet, feather lips and improving dry, aging skin. It’s five creams in one! In 1903, pharmacist Samuel Heldfond opened the Heldfond Drug Co. in Portland, Oregon. Going into the Heldfond Drug Company in 1920, you would have seen a young boy in a white coat stacking bottles of ‘Dream of Youth’, the first beauty cream invented in the family business. That young boy was Robert Heldfond Sr., who like his father, was fascinated with the jars of herbs, salves,, and ornaments in his fathers’ pharmacy. This fascination encouraged him to devote many years of his life to training in Pharmacy School and years of herbal, vitamin, and cosmetic research. 1980; the company incorporated as the eb5 Corporation. Eb5 Facial Cream is actually five creams in one jar: Wrinkle Cream, Neck Cream, Firming Cream, 24 Hour Moisturizer, and Makeup Base. Eb5 delivers rejuvenation remedies including Vitamin A- Retinol, Vitamins B5 and E in a proprietary synergistic base which allows the skin to quickly absorb them for dramatic results. 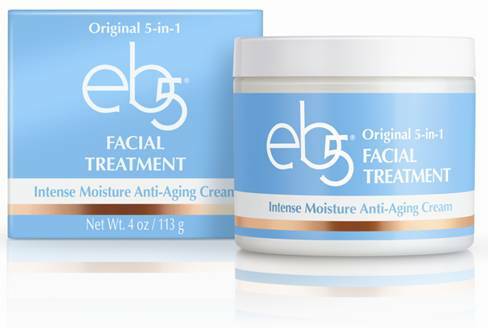 Eb5 is hypoallergenic, dermatologist tested and clinically tested with proven results in 7 days! eb5 includes antioxidants which stimulate collagen production while neutralizing free radicals and reducing inflammation. With twice daily use, eb5 is guaranteed to improve the appearance of fine wrinkles, crow’s feet, feather lips creepy neck, dry skin and other symptoms of aging skin. Vitamin E helps protect the skin from the sun and improves the level of , moisture in their skin, reducing the appearance of lines and wrinkles. Vitamin A is credited with increasing skin elasticity, and reduces the appearance of fine lines and wrinkles and prevents skin roughness resulting from UV exposure. (eb5 contains Retinyl Palmitate which a milder cosmetic alternative to Retin A). Vitamin B5 a natural humectant which moisturizes/holds moisture. It is a skin conditioner providing relief to dry, sun damaged skin. Also a skin softener adding suppleness and acts as an anti-inflammatory agent. Colloidal Oatmeal a skin protectant with soothing properties. An emollient which helps diminish inflammation and irritation.